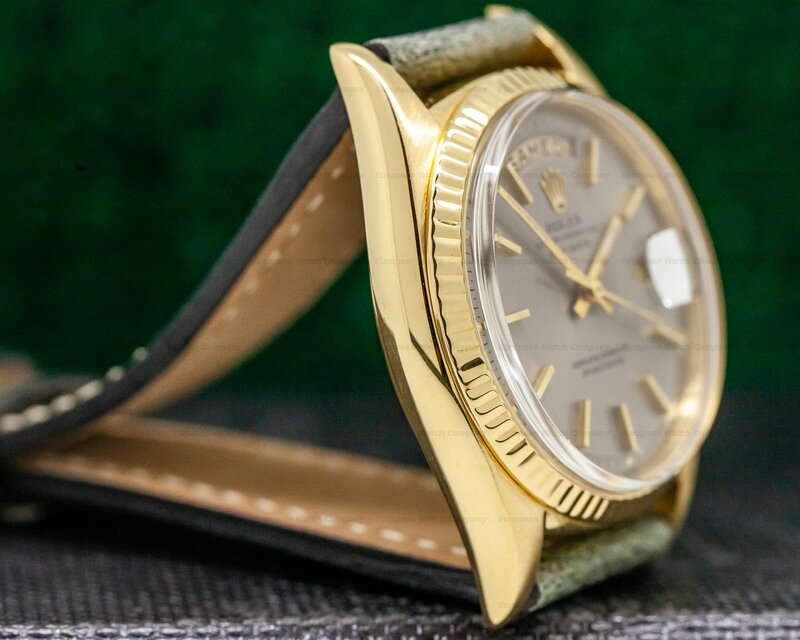 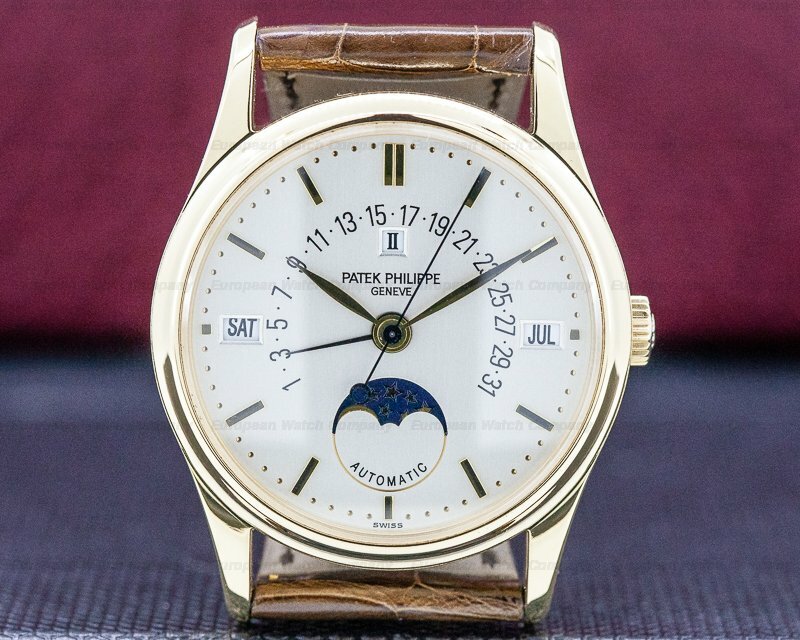 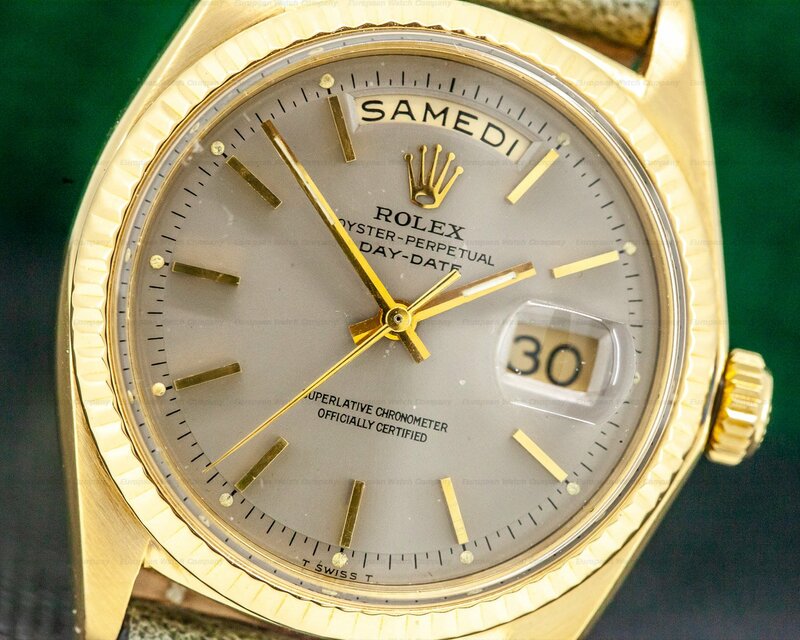 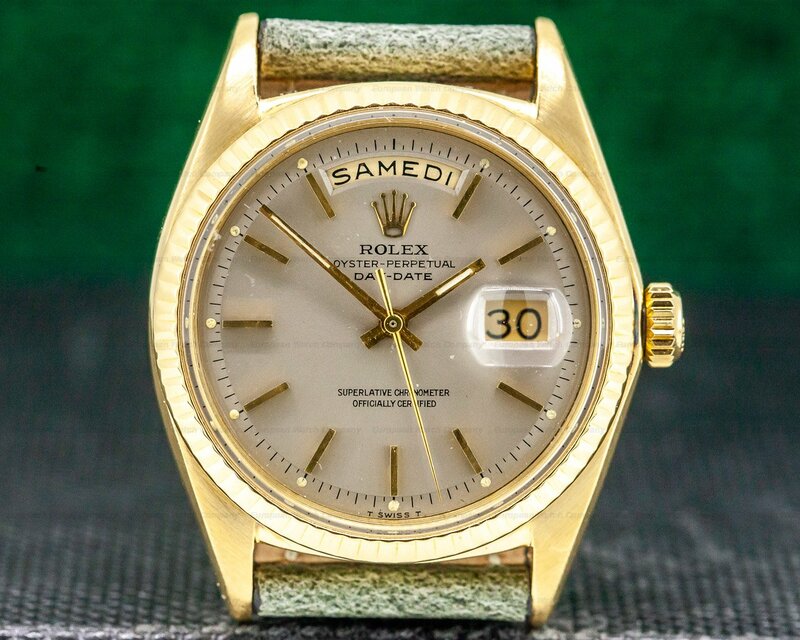 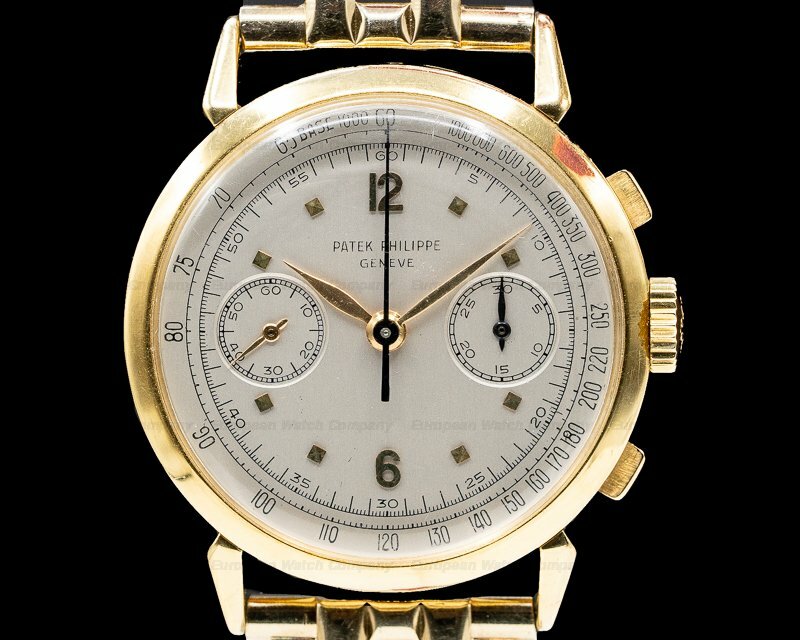 This is a vintage c. 1968-69 18K yellow gold Rolex Oyster Perpetual Day-Date 1803. 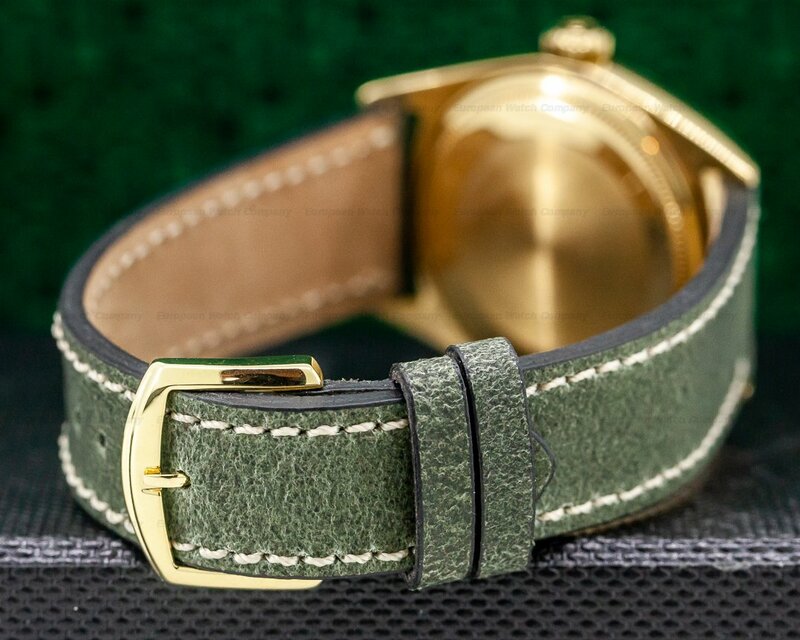 It has a leather strap with a yellow gold tang buckle and an acrylic crystal. 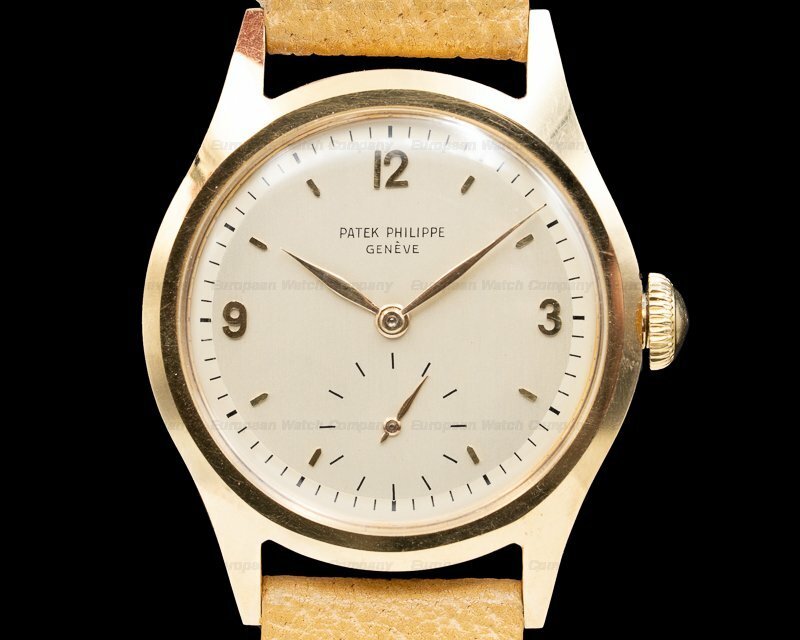 It includes a screwed down solid case back, a twinlock winding crown, and the 36mm diameter solid three body case, fluted bezel, straight lugs, and bracelet are polished/brushed. 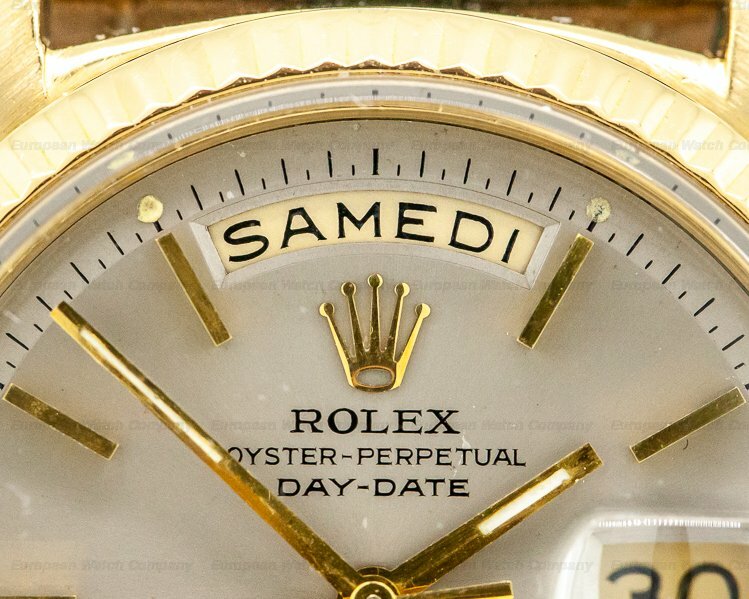 There is a non quickset date aperture window at the 3 o'clock position underneath a Cyclops magnifier bubble, and an arched indicator aperture window is at 12 o'clock for the completely spelled day of the week in French. 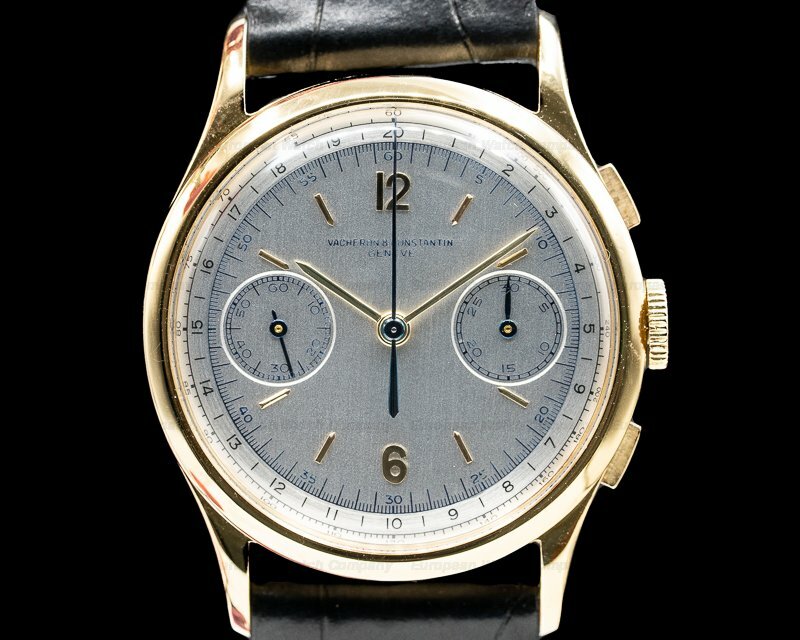 The dial is Satiné silver with applied yellow gold faceted baton hour index markers, and luminous dots around a perimeter minute/seconds track. 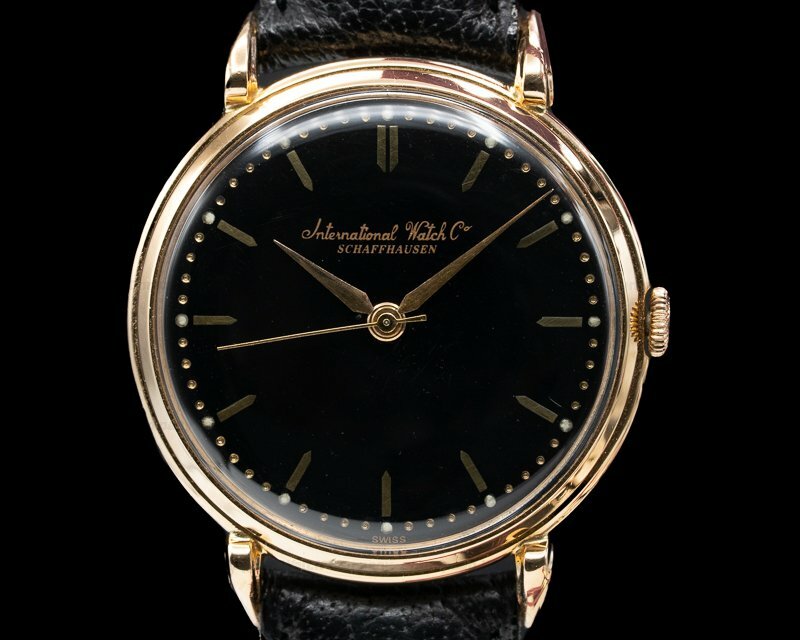 It has a gold central sweep seconds hand, and gold baton minute and hour hands with luminous inserts. 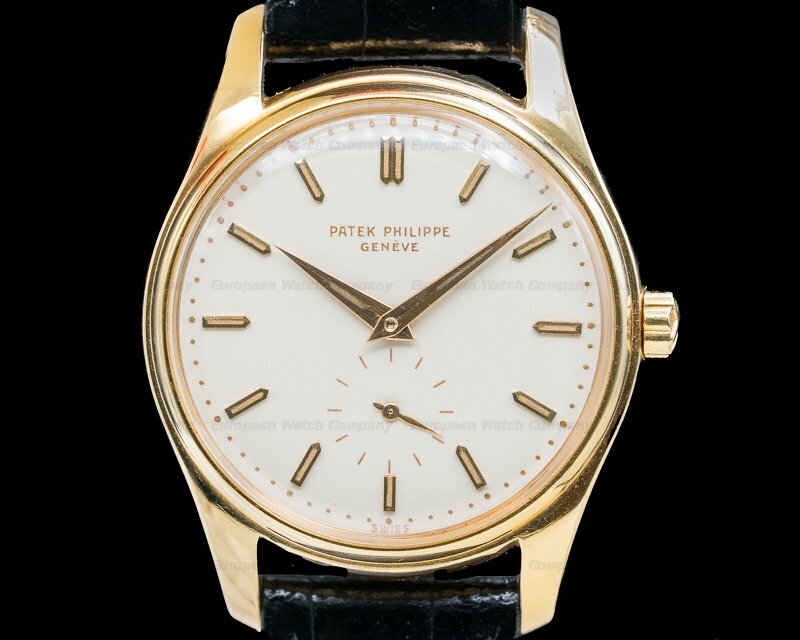 It includes the Certified Official Superlative Chronometer (COSC) rating, and it's water resistant to 50 meters/165 feet. 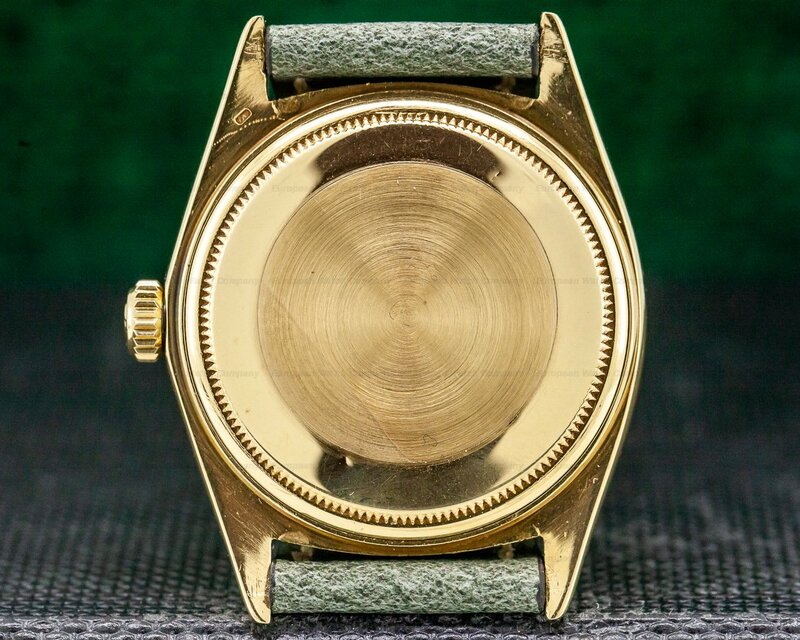 The 12mm thick case, dial, and movement are all signed. 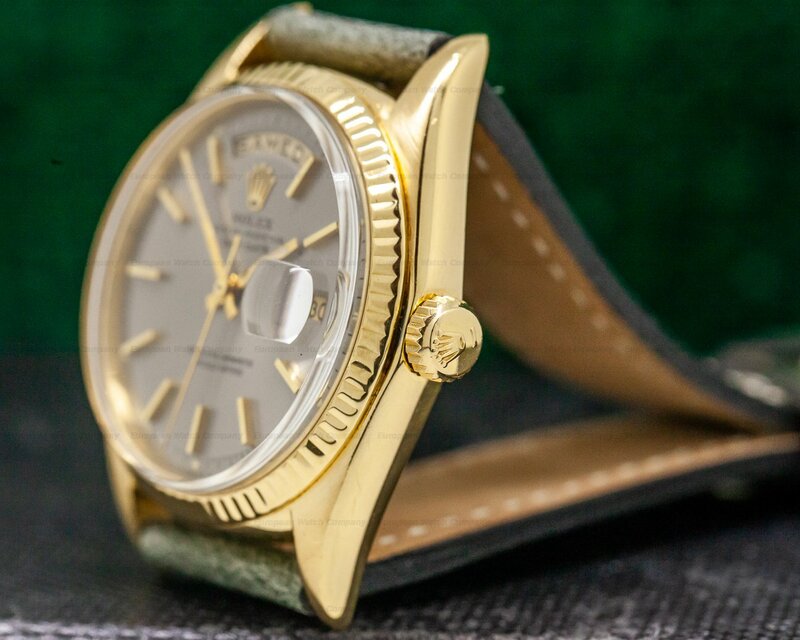 This Rolex Oyster Perpetual Day-Date 1803 mechanical automatic self-winding Rolex caliber 1556 movement is rhodium-plated, with oeil-de-perdrix embellishment. 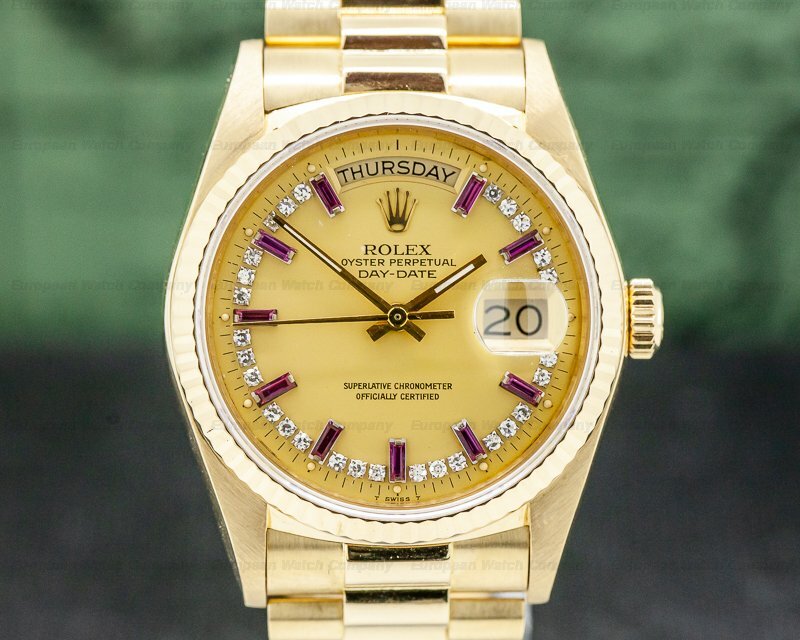 It's constructed with 26 jewels, and a shock absorber mechanism. 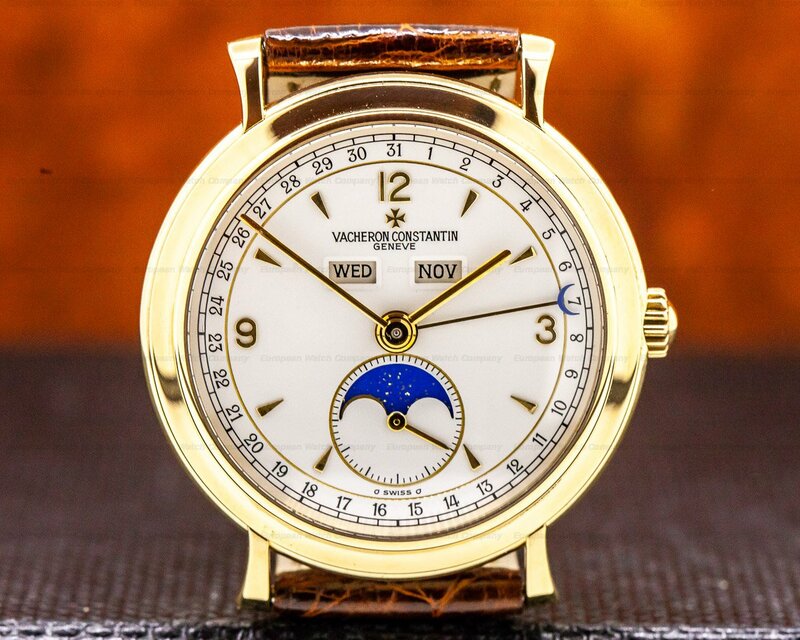 It includes a straight-line lever escapement, a monometallic balance adjusted to 5 positions and temperature, and a self-compensating free-sprung Breguet balance spring. 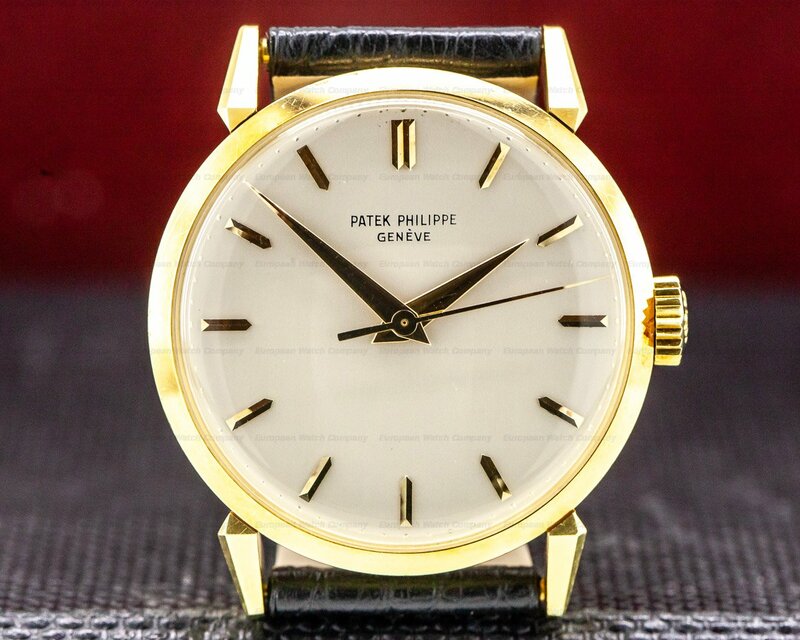 There are Microstella regulating screws, and the mechanism oscillates at a frequency of 19,800 vph (2.75 Hz). 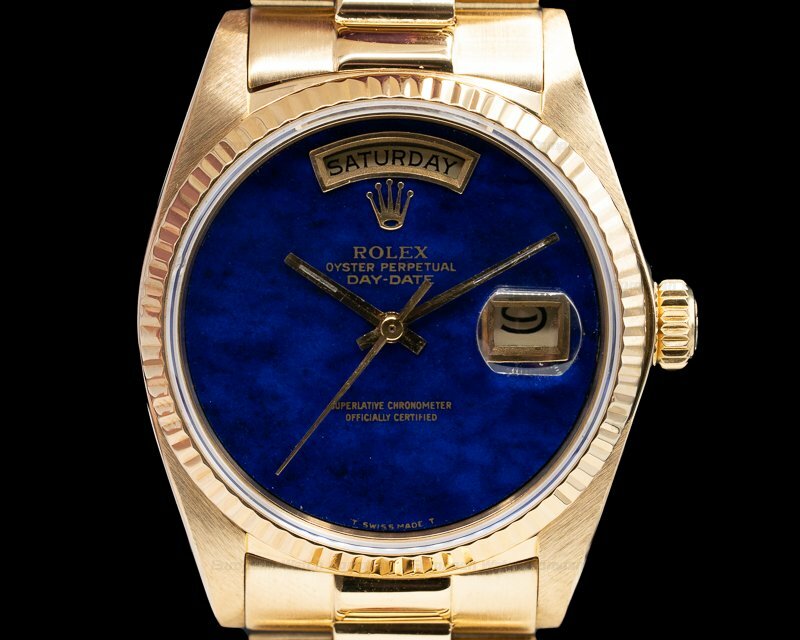 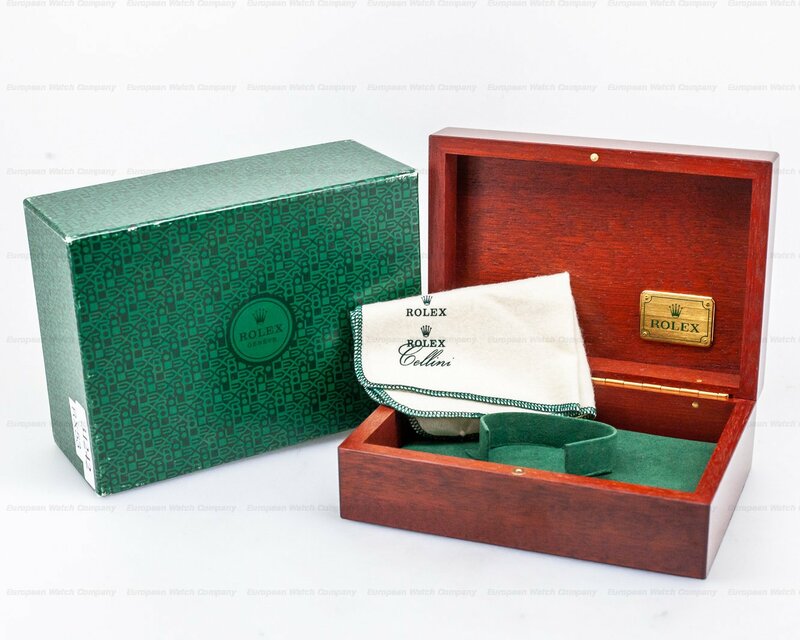 The Rolex Oyster Perpetual Day-Date 1803 was introduced in 1959 and it was produced until 1978.